Comprehensive information about Ivar Andreas Aasen including biographical information, facts, literary works, and more. 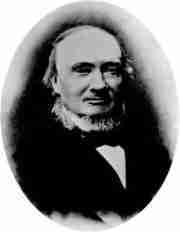 Ivar Andreas Aasen (ō′zen), Norwegian poet and philologist, was born in 1813 and died in 1896. He wrote miscellaneous poems and a drama, but he is chiefly known as the originator of the patriotic movement known as the Maulstroev. This educational Ivar Andreas Aasen resource has information about the author's life, works, quotations, articles and essays, and more. Articles about Ivar Andreas Aasen or articles that mention Ivar Andreas Aasen. Here are a few random quotes by Ivar Andreas Aasen.